As reported previously on AmericaSpace, the vacuum leak was being examined and tested, with the hope it could be repaired in time for launch. But now it seems that won’t happen. 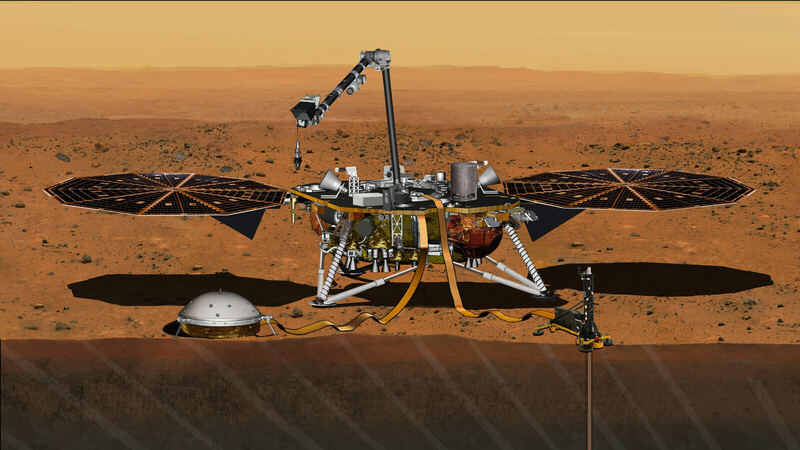 If it does launch later on, InSight will be the first mission to Mars to permanently place instruments into the ground using a robotic arm. The two instruments include the seismometer and a heat-flow probe. The seismometer will measure tiny marsquakes which cause microscopic movements of the ground, which will help scientists better understand the interior of Mars. The heat-flow probe measures heat coming from the planet’s interior and will hammer itself about 3 to 5 meters (16 feet) deep into the ground. Even the radio can be used to measure wobbles in the planet’s rotation and environmental instruments to monitor weather and changes in the magnetic field. And, of course, there will be cameras – two of them. InSight would also be the first Mars spacecraft ever launched from California. he Curiosity rover, meanwhile, continues its close-up study of Martian sand dunes, the first time this has ever been done. Smaller sand drifts have been seen by all of the previous landers and rovers, but the much larger dunes are a spectacular sight when seen on the ground. The dune called Namib Dune, where Curiosity still is right now, is a massive wall of sand that reaches 13 feet (4 meters) tall. The dunes themselves are in turn covered by many finely-etched sand drifts.